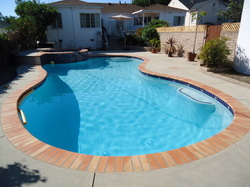 Pool and spa inspections are essential for both home buyers and sellers. Do you have your heart set on the new home with a pool? You’re not alone, nearly 35% of all home buyers require their dream home to have a swimming pool. Assuming you’re contracting with us to inspect a preexisting pool you’ll want us to ensure the pool is safe, has been properly maintained, and your gateway to paradise rather than an ongoing liability of endless repairs. Beyond the obvious required fencing, ensuring enough space for other amenities in the back yard, and increased liability coverage, there are the not so obvious elements of proper pool safety inspection. Consider for a moment that the typical 600 square foot concrete pool cost approximately $33,000 to install, equip, and fill, you’ll want to ensure it was all performed properly. Who constructed the pool? Were there permits taken out by the contractor, or were they taken out by the home owner? Did a professional company build the pool, or did the home owner self-manage and attempt to sub contract the construction? Always start at the beginning and review the paper trail to determine the facts. Is there a warranty provided with the pool? Who is responsible for latent defects and how can you prove they exist? Was the swimming pool designed properly? Has it been pressure checked to ensure there are no leaks? Considering the shifting in home foundations in Texas, what can we expect with pools and plumbing shifting? Is the pool plumbing sized properly – does it empty and fill properly? Is the water properly evacuating to an approved outlet? 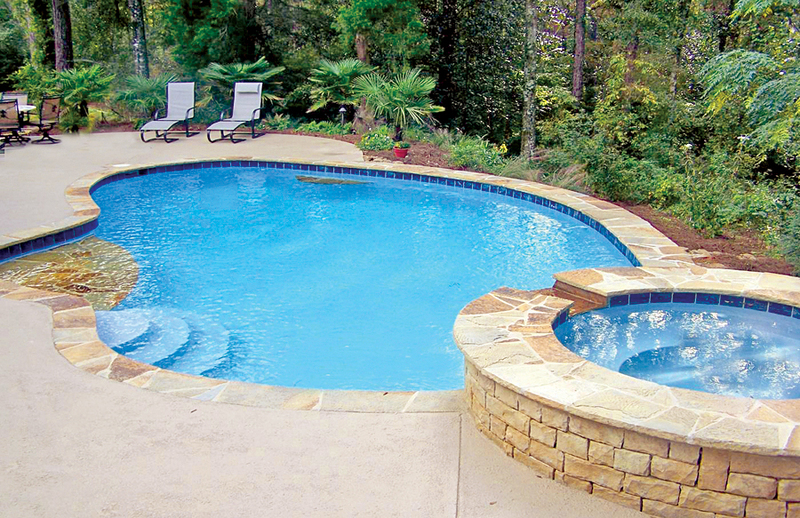 Do you see rust spots in your pool? Did you know that a pool pour requires nearly four hours to complete (the guniteprocess) and your inspector may be onsite for 15 minutes of it? There is no way the city can determine the required 3 inches* exist between the steel, soil, and concrete unless he or she is onsite or drills a core sample. Has the contractor locally mixed or ordered the gunite? What does it matter? The gunite mixture must be the precise mixture of water, additives, rock, and sand. How can you tell if this was done properly? Does your pool have lighting? Is the electrical safe, properly sealed and grounded? Will you be electrocuted upon diving into the water? Unless you have the ability to ascertain what’s transpired during the pool construction of the home you are considering purchasing, you must obtain a qualified pool inspector to protect you from the potential safety and liability risks. Get the peace of mind that you need by having your pool inspector perform more than a simple visual inspection. Have your pool inspected in detail by disassembling the equipment as needed, performing equipment checks, pressure checks, electrical, soils, and document findings up front so your pool is not a liability after closing on your new home.